Information Services would like to hear about your usage of mobile devices such as mobile phones and tablets. This will assist in us catering our services towards the devices you use. Please complete the 2 minute survey below and enter your student email address when prompted. 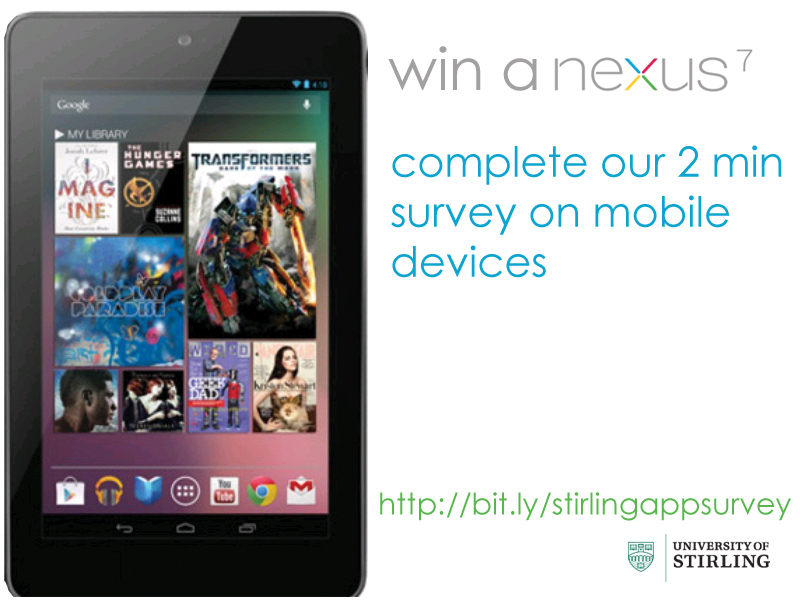 You will then be entered into our prize draw to win a Google Nexus 7, a 7″ tablet that works with both Campusnet and student email!